You’ve reached the website of Dogpatch Resort. Chances are, you’ve been sent here by a friend of yours, or a friend of ours. (Dogpatch is strictly a word of mouth and wag of tail business) Congratulations on finding us. Browse our web site and learn about our services. Be sure to check out our Photo page for that is where you will see the faces of our clients and be able to tell for yourself if they are having a good time. You will find a lot of great information on this site if you dig around a little. If you have any further questions we are always available to take your calls or e-mails. You can reach Sunni at 503-709-4181 . 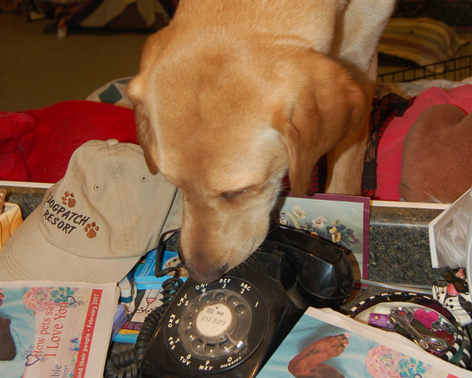 Be sure and speak slowly when you leave the message, as Cooper is doing fine answering the phones, but taking messages seems to be difficult for him. Be sure and friend us on Instagram, Facebook and Youtube.